Our comprehensive carpet repair includes services for any type of damage, stains, or wear and tear. Our service technicians are thoroughly trained to repair any carpet material with the right tools, products, and techniques. We pride ourselves in providing superior workmanship so your carpets will end up looking like new without the price tag of replacing your carpet. Our free in-home estimates are available to walk you through all of the damage done to your carpet and any necessary repairs to restore your flooring to it’s original condition. We are passionate about our carpet repair and cleaning services so you don’t have to worry about re-carpeting your home. Finding the right carpet cleaning and repair services doesn’t have to be difficult with our comprehensive repair services and highly skilled staff. Karpet Kleen uses the right tools, products, and techniques to get your carpet repairs and cleaning done right the first time! You won’t have to worry about replacing your carpets with our complete care services. 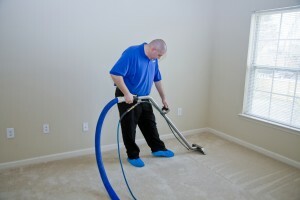 We solve your carpet stain and damage problems so you won’t have to have them repaired or cleaned again. In addition to providing repair and carpet stain removal services, we also complete routine carpet cleaning and stretching from natural wear and tear done to your carpet over the years. If you have pets, children, or heavy traffic in an area of your home, it is a good idea to have routine carpet cleaning done to prevent deep stains, odors, or potential tears.